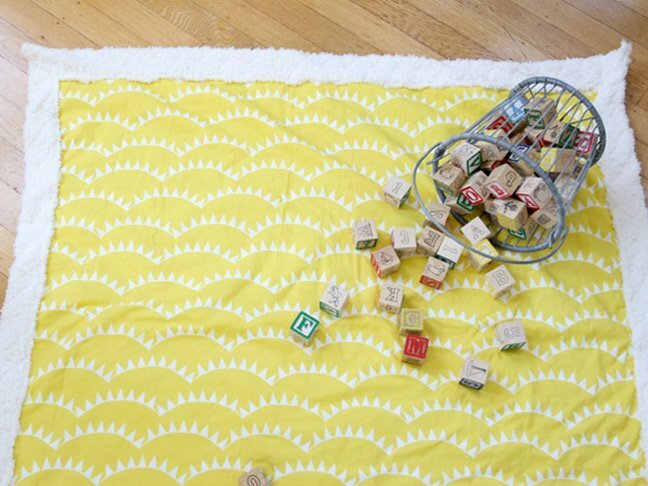 If you’re expecting but have no intention to learn how to knit or crochet, this simple baby blanket tutorial is right up your alley. Even the very novice sewer can whip this out and still have an impressive final result. It feels so good to hand-make something that your baby can keep forever. It feels even better to make something that’s not incredibly labour-intensive. 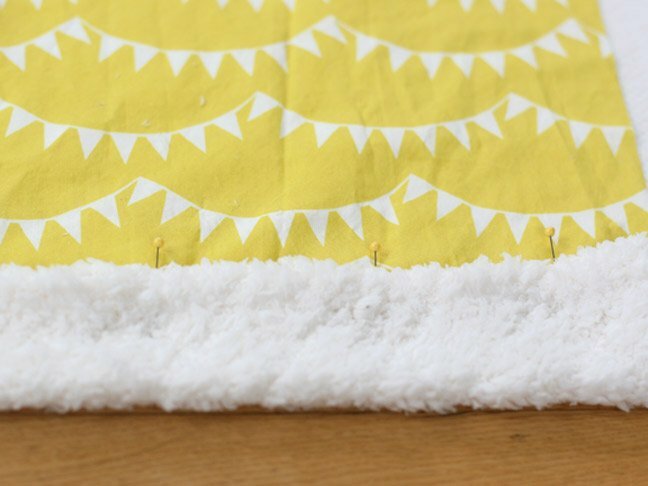 The trickiest part of typical handmade baby blankets are those darn mitred corners. 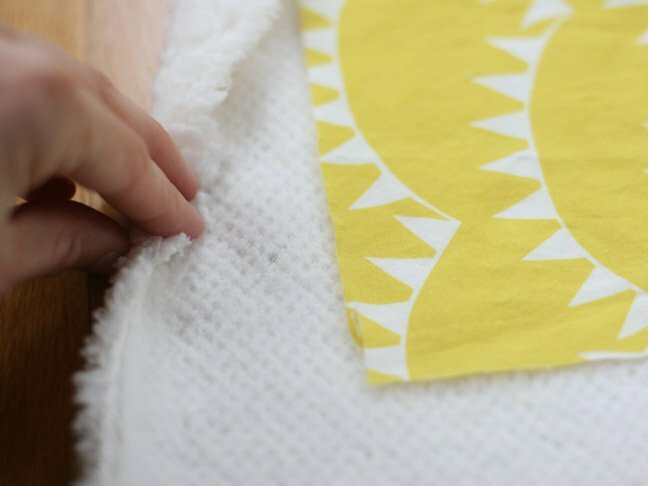 This is a great DIY tutorial that will help you create mitred corners on your soft baby blanket with a little cheating (shh! Don’t tell your mum!). Step 1: Start by cutting your two pieces of fabric. You can really make this blanket whatever size you want, although keep in mind that the top piece needs to be 12 cm shorter around. My top cotton piece was 90 cm x 90 cm and my bottom fluffy piece was 102 cm x 102 cm. 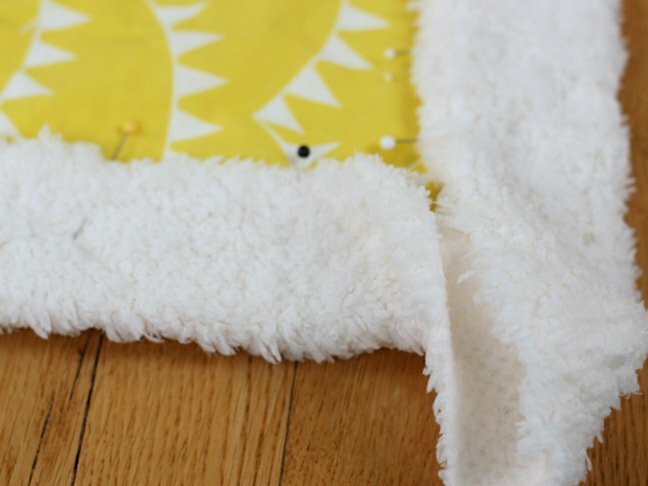 Step 2: After cutting your blanket pieces out, lay the fluffy piece, right side down on the floor with the top cotton piece on top, right side up. Centre the top piece as well as you can. If you need to trim either piece a little bit to center the top piece, do so at this point. Step 3: Start about 3-4 cm from a corner. 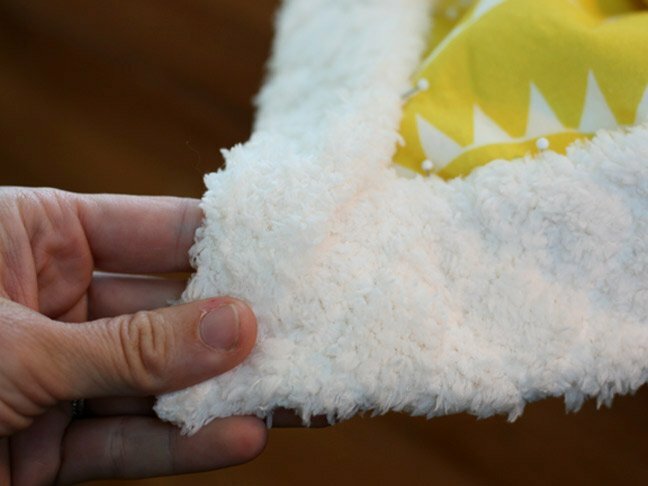 Pinch the raw side of the fluffy piece down and fold it over the top of the non-fluffy top piece. Step 6: When you come to a corner, skip over it and start pinning again an inch or two on the other side. We are ignoring the corners for right now – should look like the photo above. 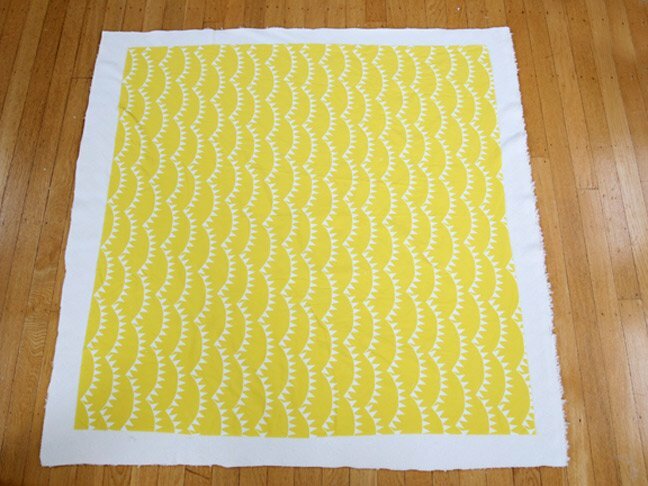 Step 7: Sew a top stich where you’ve pinned, starting right after a corner. I used the edge of the foot as my guide. 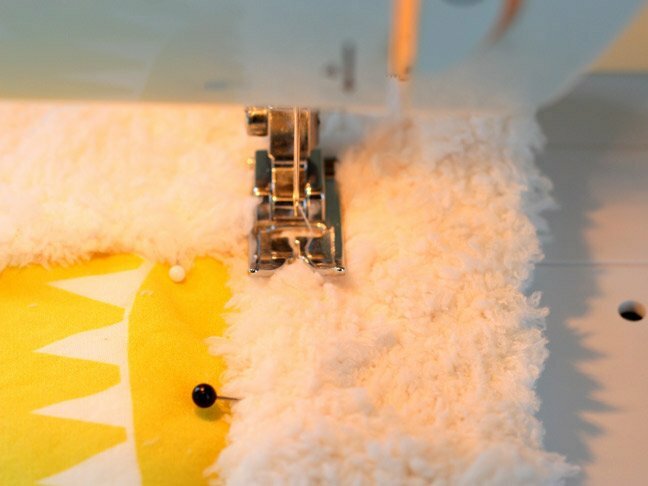 When you come to your first corner, leave your needle in the fabric and snip off the excess with scissors. That’s it! You’ve got an impressive gift now for a new mum or for your own baby, and they’ll never be able to tell that you cheated on those corners.